As a dividend growth investor, I like to think that my strategy tends to provide more guidance to me than those that simply trade stocks. While this is likely to be the case, it doesn't mean that I don't make mistakes and end up having to close a position for one reason or another. 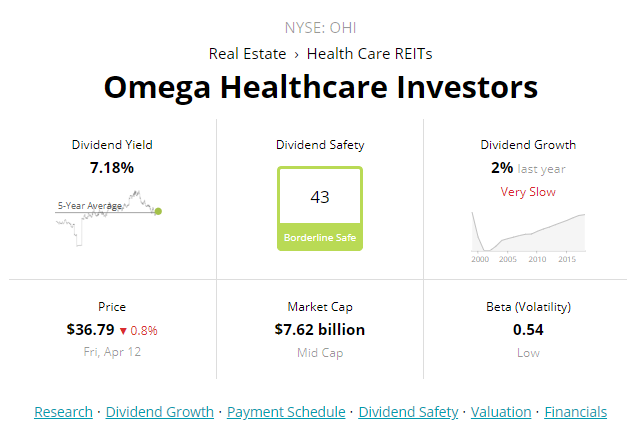 I recently completed the sale of my entire remaining position in Omega Healthcare Investors (OHI), and redeployed the proceeds from the sale into a couple other companies already in my Robinhood portfolio. When I initiated my position in OHI back on November 28, 2017, I was focused on the income that it would provide to me and the long-term thesis that OHI would do well in an environment with an aging population that will use more healthcare in the years ahead. 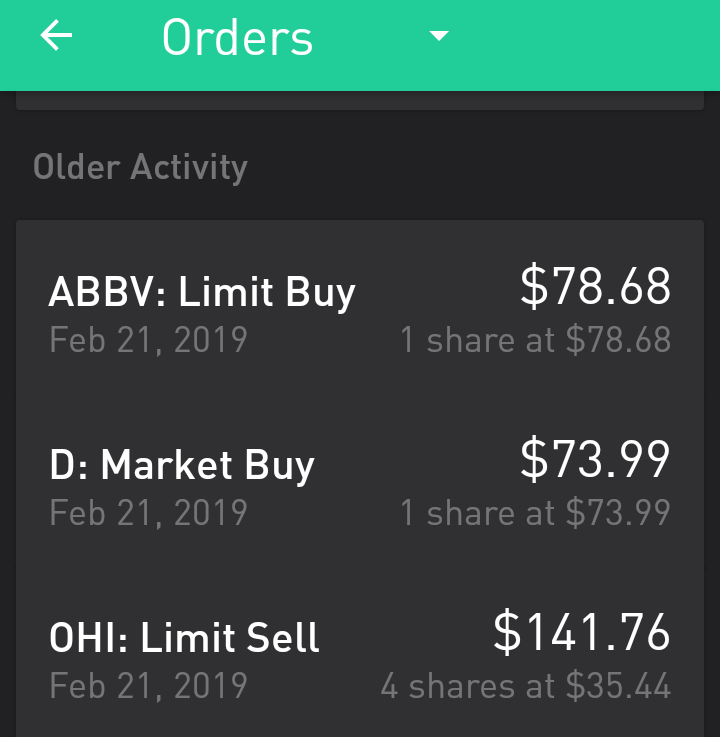 I ended up selling 7 of my 16 shares on February 23, 2018. I held on to my remaining 9 shares until earlier this year. I then ended up selling another 4 shares and redeploying the proceeds into other companies within the portfolio this year. Finally, on March 26 of this year, I sold my remaining 5 shares. While it isn't always fun to discuss the closing of a position within barely a year of initiating the position, I believe mistakes are life's greatest teacher. Overall, the position produced a 27% gain for me with dividends included, so it wasn't as if it was a mistake in that regard. However, I have the goal of holding my positions for decades, unless an issue arises that makes that not feasible. 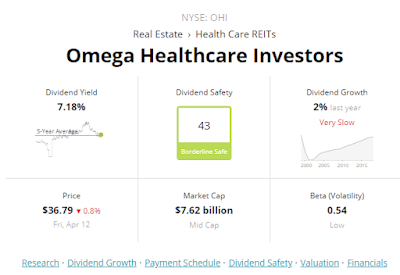 The first issue that I had with continuing to hold OHI was that the dividend safety score is currently ranked as 43, per the reputable research firm, Simply Safe Dividends. A score of 41-60 indicates that the dividend is average and at a borderline risk of being cut in the years ahead. When we add to the fact that the industry in which OHI operates is facing very anemic growth in the short to medium-term, OHI doesn't fit the objective of my portfolio, which is to create as safe of dividend income as possible while also growing, on average, at a clip of 6% per year (with higher yielding companies like OHI in the lower single digits and lower yielding companies such as Lowe's and Home Depot making up for those lower increases). Ideally, I'd like to have nearly 90% of my dividend income originate from companies with a dividend safety score of greater than 60. This allows a portfolio to grow its dividends and distributions, regardless of economic or political conditions. It was this very reason that led me to reinvest my proceeds into companies such as Dominion Energy, AbbVie, and Magellan Midstream Partners. All three companies have dividend safety scores greater than 60 and while none quite offer the yield of OHI, the safety and growth profiles of the dividends more than make up for that, in my opinion. The other reason that led me to close my position in OHI was the fact it was also trading well above its 5 year average in terms of price to adjusted funds from operations or price to AFFO. The price to AFFO at the time of my final sale of shares was around 13.6 compared to the 5 year average of 11.6. This type of overvaluation on a company with a dividend that is by no means a safe bet was a great time for me to take a profit and get out of a company that I view as less certain than the three I redeployed my capital into this year and Southern Company that I deployed proceeds from last year's sale to. 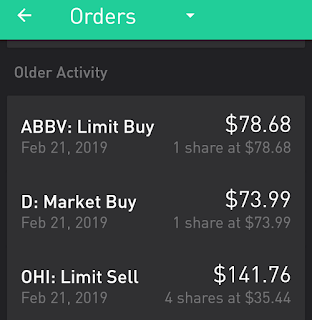 While the 16 shares I initially owned of OHI provided annualized dividends of $42.24, I simply wasn't comfortable having such a large amount of my overall dividends rely on one company that doesn't possess at least a safe dividend safety score from Simply Safe Dividends. I am pleased to own 4 other companies all with dividend safety scores over 60, that still produce annual dividends of $29.52 and that grow their dividends in the mid single digits like Southern and Magellan Midstream Partners, high single digits like Dominion, and low double digits like AbbVie. Have you ever closed a position? Was there a perfect storm brewing leading to the closure of that position like in my case? Did you learn your lessons from it? As always, thanks for reading and I look forward to replying to your comments. Exactly. Knowing when to get out is difficult. Hopefully, as time goes on I'll be a bit more decisive in my capital allocation and more prudent in my due diligence to realize I'm not comfortable with my dividends coming from x company, so I don't have to sell. I want to sell as infrequently as possible, so due diligence should hopefully be able to prevent most of these transactions in the future. Thanks for the comment.